Israel Patent Application number IL 215110 titled “Method and System for Producing a Document” relates to Rami Dotan and Tal Petel relates to a method of producing a “yearbook”. The claimed invention was originally rejected as relating to an administrative methodology rather than to a technical method. 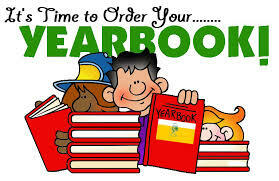 Furthermore, the claimed invention was rejected as known, in light of WO 2006063327 “Method of creating a yearbook”. In response to the first office action, the first inventor scheduled a meeting with the Examiner who explained the rejection in more detail. The Applicant responded to the Examiner’s summary of that meeting, that there is a technical problem in the market in that the graphic designer does not know the students and so it is difficult to correctly link photographs with text. On 7 August 2013, The Examiner issued a further Office Action detailing why the claimed invention did not relate to patentable subject matter under Section 3 of the Law and added some additional objections. On 17 November 2013 The Applicant responded with a narrower claim set that allegedly overcame the objections. In a final rejection dated 26 June 2014, the Examiner again refused the application and the Applicant requested a further Interview. On 5 November 2014, the Applicant, his “representative for the purposes of the Interview” (apparently Patent Attorney Chaim Brandstatter) and the Examiner met, and versions 4 and 4 1/2 of the claims were discussed. Based on the similarity of the cited art WO 2006063327 “Method of creating a yearbook” and the claimed invention, the Examiner was persuaded to withdraw his section 3 (patentable subject matter) rejection and to focus on the issue of novelty and inventive step (non obviousness). Furthermore, the parties accepted that the differences between the cited art and the claimed invention were features known to persons of the art. Following the meeting of 6 November 2015, the Applicant submitted a further version (version 5). Despite the Examiner considering the claimed invention to be obvious in light of WO 2006063327 together with two elements well known in the art, the Examiner did a further search and discovered USSN 2002/0055955 “Method of Annotating an Image” that allegedly taught these two features. Consequently, the Examiner refused the application under section 5. The Applicant felt that the 5th version of claims, submitted after 5 November 2014 was not addressed. The Examiner countered that the elements in version 5 were not supported. The Applicant considered that this went against the conclusion of the meeting, Examiner guidelines and Section 23 of the Law. According to the guidelines, after issuance of a final rejection, the Applicant can either correct the outstanding issues or request an interview. In this instance, the Applicant attempted to do both, and following the interview, submitted a further claim-set. Thus the Examiner was within his rights to reject the Application following the interview, despite the further amendment submitted. Neither the Law nor the Regulations provide a maximum number of Office Actions, but the Deputy Commissioner, Ms Jacqueline Bracha considers it unacceptable to understand that the examination allows infinite iterations and the Examiner cannot issue a final rejection. That said, the case was considered borderline and the Deputy Commissioner was prepared to rule on the merits of the claimed invention, i.e. to look at the final version of the claims. thereby tracing a failure once a text of said second table (26) cannot be matched with a photograph. Claims 2-10 are dependent method claims and claim 11 is for a corresponding system. The claimed invention is similar to the first citation, with two features taught in the second citation. Since the Applicant does not provide an alternative method of implementation to that given in the prior art, the claimed invention is either not enabled or lacks inventiveness. Section 12 requires enabling disclosure. Where a method of achieving the claimed invention is not provided, one can conclude that either it is not possible or that it uses known elements and is thus obvious. Either way, in this instance, the Application does not provide enabling disclosure and is thus not allowed. In conclusion, the Application was rejected. In Australia, the patent corresponding to WO 2006063327 did issue back in 2005. I am not sure though, that it would still be considered directed to patentable subject matter as such computer facilitated inventions are rather difficult to obtain. From the number of dubious publications with titles such as Directory of World’s Leading Patent Experts that I am invited to appear in subject to paying exorbitant fees, it does seem that there are patent attorneys who missed out on their high school yearbooks and are willing to pay to see their mug-shot and biography in a directory that no one reads.